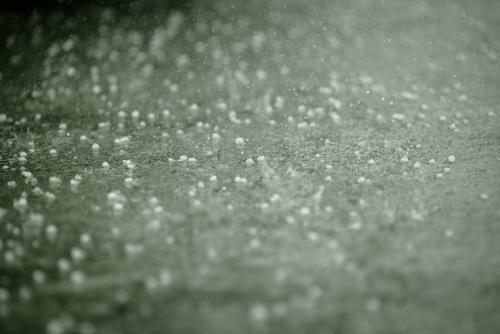 How Does Rainfall Harm Concrete? As we know, concrete structures will suffer damage and decay over time – it’s only natural. Concrete repairs are required from time to time to revitalise a structure and keep it looking its best, as well as ensuring it is safe for anyone in and around it. Concrete has to withstand all manner of conditions that, over time, do take their toll on the material. Rain will slowly erode the concrete, causing discolouration and weak points. Acid rain has an average PH value of between 4.2 and 4.4, which is slightly more acidic than a banana but less so than orange juice. In the United Kingdom, acid rain is not as prevalent as it once was, but when you consider that clean rainwater still holds a PH value of between 5 and 5.5, damage is a certainty over time. If you live in the United Kingdom, you need no reminder that the country sees more than its fair share of rainfall. In fact, London alone sees an average of 106.5 rainy days over the course of the year, according to the Met Office, meaning that for almost one-third of the year, concrete is subjected to rainfall of varying degrees of acidity. Using the same principle as leaving a tooth in soda for five days, which will result in a terribly decayed tooth, concrete will deteriorate as the effect of the rain take its toll. Of course, it will take a good many years before concrete repairs will be required as a result of the damage of rainfall, but leaving your structure untreated when damage does start to rear its head can be a disaster waiting to happen. As the concrete deteriorates, cracks will begin to form in the material which rainwater can and will penetrate. Not only will this then weaken the concrete from the outside, but also from within, making it more and more likely for concrete to break away from the structure. Should a piece of concrete fall, potentially causing injury to a pedestrian unbeknownst to the danger of walking past your building, the consequences can be severe. If your building has not had an inspection recently, it will certainly be worth calling on the experts to offer a professional opinion before such an incident can happen. Historical buildings will require maintenance to ensure that the structure remains in a safe condition. The construction process has changed over the years, meaning that the structure may not be as future-proof as more modern buildings. If your building is in need of concrete repairs, make sure to get in contact with the Concrete Renovations team today, who will be more than happy to assist. You can call us on 01733 560362 today or send us a message via our contact page.